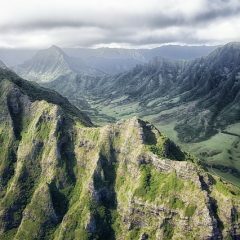 In recent years there has been more and more special interest legislation as businesses attempt to deal with Hawaii’s harsh business climate by securing “special” treatment for their particular business. Unfortunately, that “special” treatment comes at the expense of public programs and other taxpayers. Much of this “special” treatment has been couched in the promotion of diversifying Hawaii’s economy or “jump starting” the economy or a particular industry. Until a few years ago, such “special” treatment was limited to activities that, if taxed, would merely exacerbate the tax burden of Hawaii’s citizens and work counter to economic growth and prosperity. It is many of those “special” treatment provisions that were recently suspended. These include the taxing of stevedoring activities, the deduction for payments to subcontractors of a general contractor, sales to the federal government, shipbuilding and ship repairs, and the leasing of aircraft and aircraft equipment. These provisions of “special” treatment recognized that either imposing the general excise tax on the activity would multiply the pyramiding effect or the tax is being imposed when an activity involved a unique activity for which there were few, if any, competitors. As a result of suspending this “special” treatment, the general excise tax will once more be imposed on these sales of goods and services, nearly all of which will be passed down the wholesale and retail chain as an added cost that will ultimately be paid by the customer. So instead of making the business climate better, this suspension will make it even more difficult to do business in the state. What about other “special” treatments offered to taxpayers? These have come in the form of tax credits to encourage taxpayers to engage in a specific activity or business. One of the first of these “special” tax credits was for solar water heaters. The enactment of the solar water heating credit came in the wake of the energy crisis of the mid-1970’s when the public first became aware of the rising cost of fuel. The sales pitch for the adoption of this credit seemed to ring true enough, install one of these devices and it will help the taxpayer to save on electric bills because the sun was being used to heat hot water for the needs of a family. While this credit did help to support the alternate energy industry, the benefits basically were available to any and all taxpayers. The same could be said of the capital goods excise tax credit which was extended at a 4% rate to offset the general excise tax imposed on the purchases of capital equipment. Again, the tax credit was extended to any and all businesses as it has long been known that capital equipment is essential to job creation. Then for a decade long period there were few “special” treatment tax credits, that is until the eve of the new century when the visitor industry realized it had fallen behind in the upkeep of the visitor plant and needed to encourage the modernization of hotel properties. With a few missteps initially, Hawaii finally adopted the first of its targeted business tax credits for the modernization of hotel infrastructure. Those credits were then followed by the now infamous Act 221 tax credits that were designed to attract investment funds to underwrite the high technology industry as it was difficult for start-up companies to attract investors. But the generous tax credits made it more of a boondoggle than a true tax incentive that invited participation. As a result of the tragedy of 9/11, the construction industry went into a tailspin and suddenly the construction industry was feeding at the trough calling for tax credits to spark residential construction and renovation. Now with the idea firmly implanted in the minds of legislators, all sorts of credits were forthcoming with everything from the production of ethanol to the subsidy of water catchments systems to the preservation of prime agricultural land. Then there were those which were proposed but never made it to the tax form including tax credits for long-term care, tax credits to offset medical insurance premiums, and so on. Unfortunately, in adopting these tax incentives it seems lawmakers failed to ask who was going to make up the lost revenues should these tax credits actually be claimed. The common retort was that these credits were going to spur all kinds of activity so that the tax revenues generated from this activity would more than compensate for the loss of revenues. The problem is that many of these tax credits did not generate sufficient economic activity and therefore additional tax revenues will be needed to cover the cost. And now we taxpayers are being asked to pay the tab.